It’s been 5,000 years since the Pyramids of Egypt were built, and human civilization has yet to top them in terms of sheer grandeur and size. 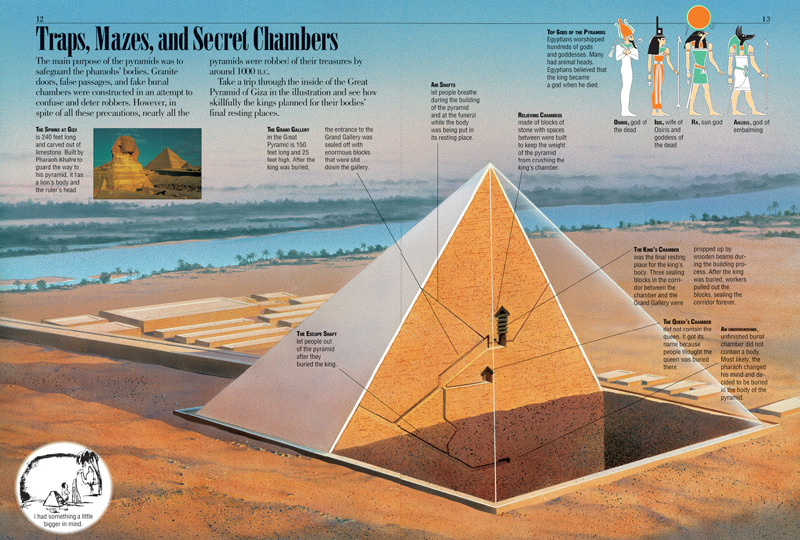 These 80 massive structures, all built by hand – with some requiring 100,000 workers to labor over 20 seasons to build – dwarf the monuments of modern times in terms of every statistic you care to compare. 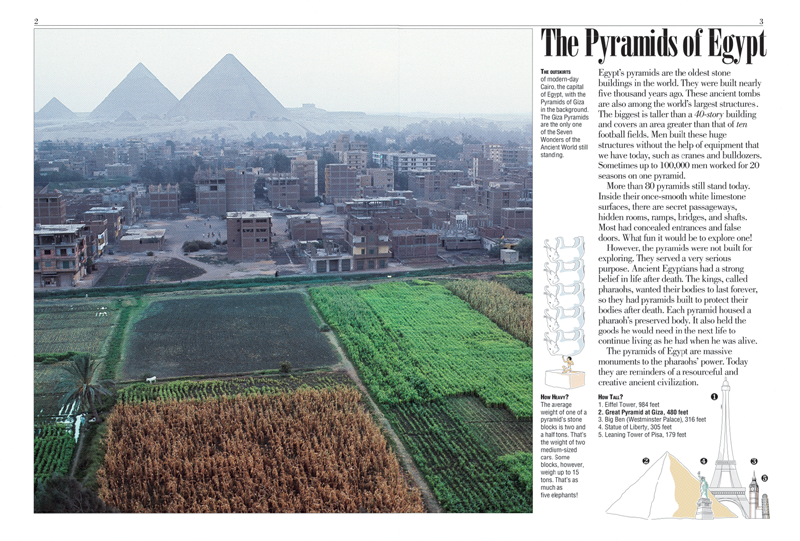 Pyramids, for kids, explores the history, construction, and excavation of these royal tombs, starting with a fascinating look at the evolution of their design, from rock piles and flat-topped brick tombs to the perfectly proportioned pyramids we know and love today. 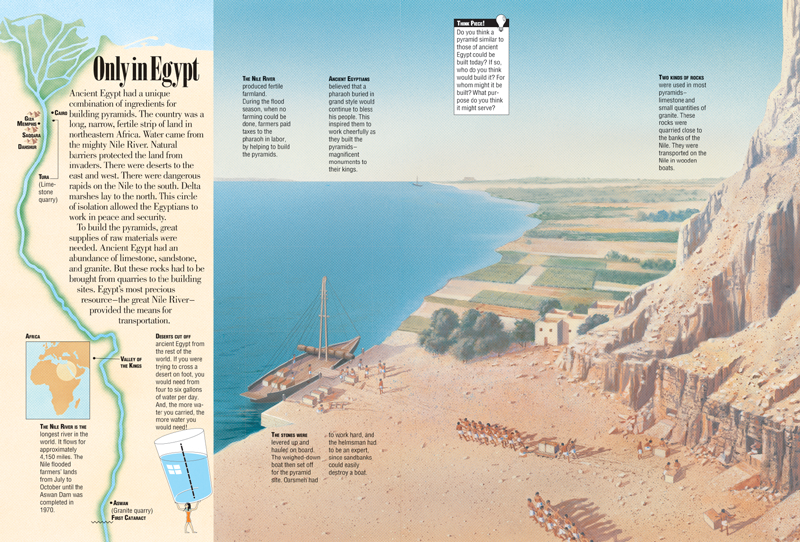 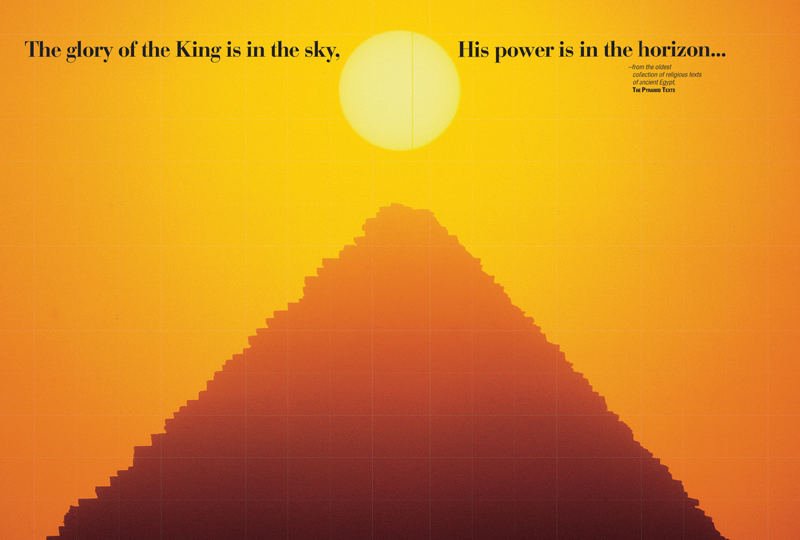 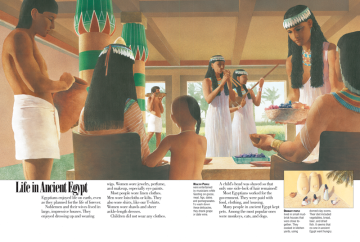 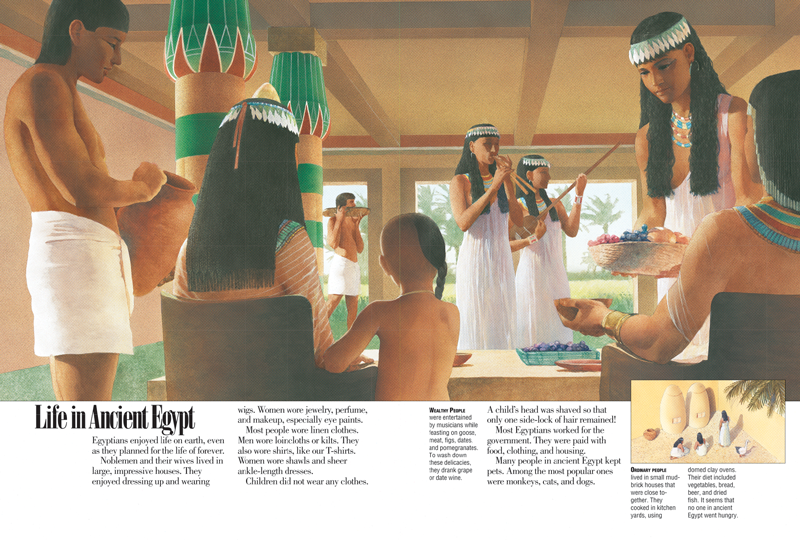 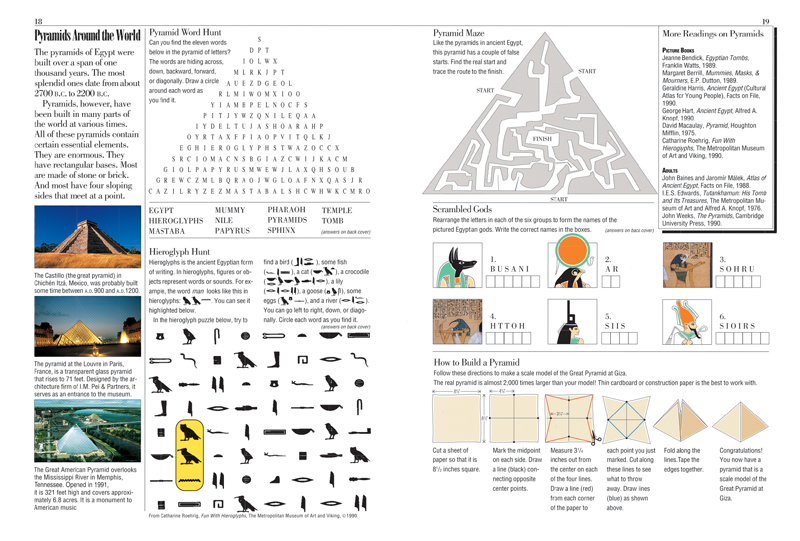 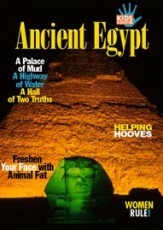 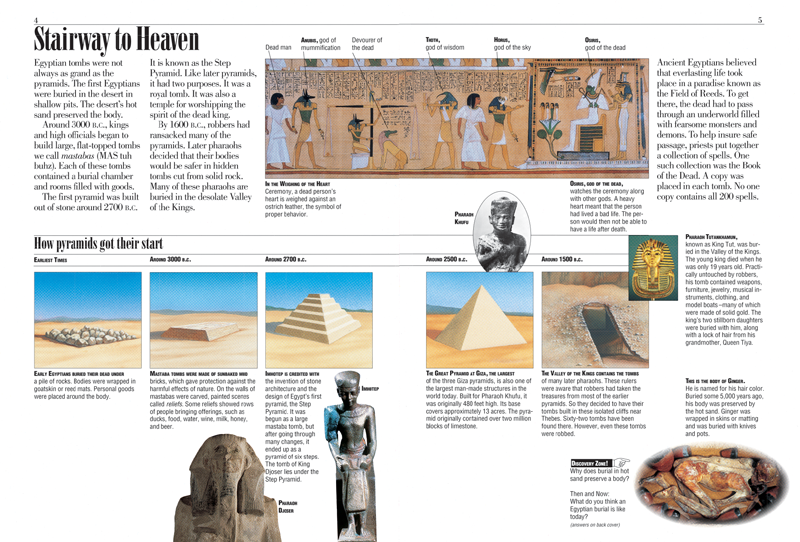 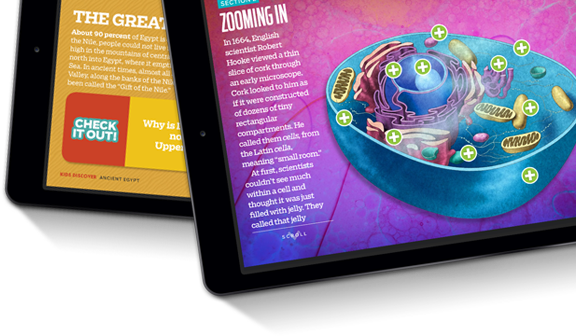 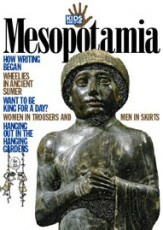 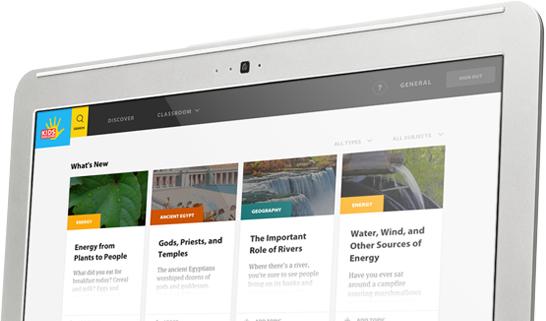 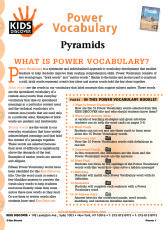 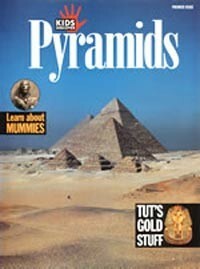 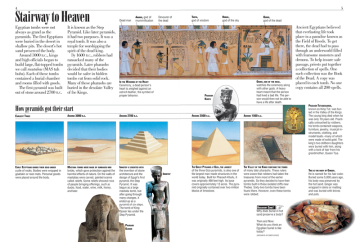 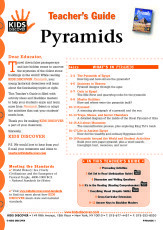 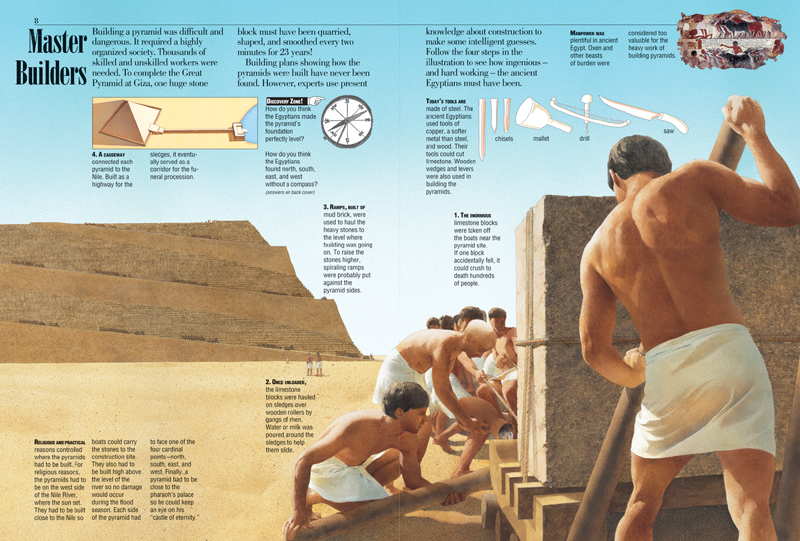 In this issue, kids will learn why the pyramids were built close to the Nile and how the construction process unfolded, using rafts, ramps, crude tools, and above all else, sheer manpower. 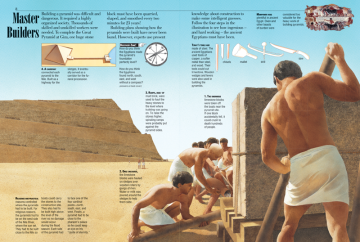 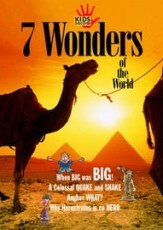 They’ll also read about the incredible effort and time it took to erect them; for example, to complete the Great Pyramid at Giza, which required 2.5 million stones, experts estimate that one 2.5-ton stone block – roughly the weight of two cars – had to be quarried and polished every two minutes for 23 years. The many traps, mazes, and secret chambers built into the pyramids to ward off grave robbers are also examined, along with the golden sarcophagi and gem-encrusted treasures found in the funeral chambers of many pyramids. 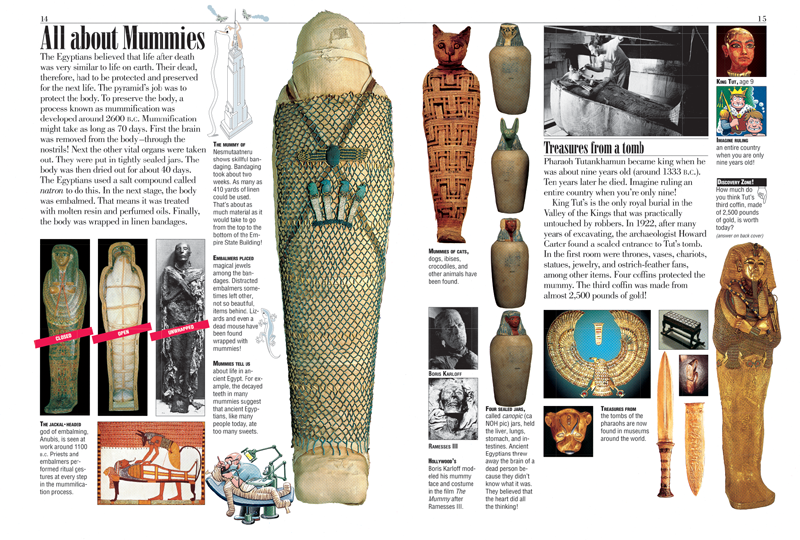 For kids who like mummies, a section on the Egyptians’ highly skilled embalming process is sure to be a gripping read too.